When the time comes for a Premier League club to announce their team selection for a game, there is a choice to be made on social media. You can just list the names, preferably by position rather than squad number, or you can make some semblance of an attempt to show the formation in which the players on the pitch will actually line up. 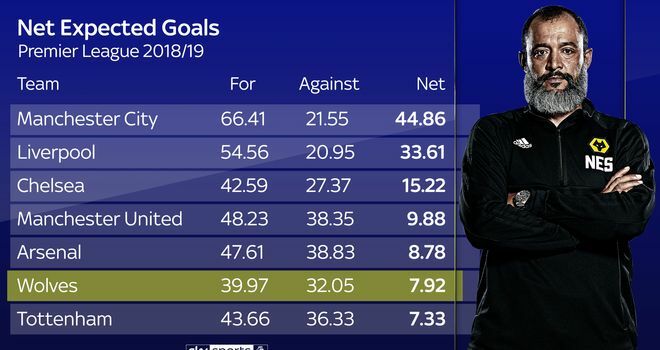 None of the top six teams in the Premier League opt to give away their shape, but Wolves, the side currently in seventh spot in the table, choose to do so. Not so long ago, a member of Wolves' media team expressed some caution about this, only to be met with an amused reaction from his colleagues. There was no secret to give away. Wolves played 3-4-3. 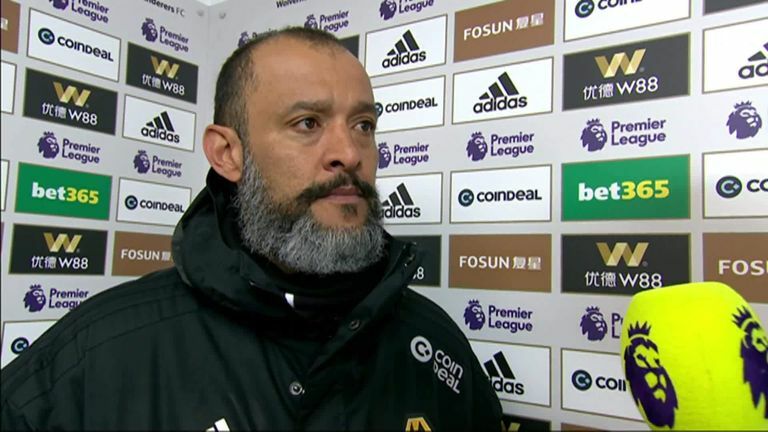 Nuno Espirito Santo announced upon his arrival in the summer of 2017 that Wolves would play that formation and they didn't deviate from the tactic once during the subsequent Championship title-winning campaign. So perhaps it was no surprise that when they took on Chelsea at Molineux in December, the team was announced in the same shape as before. But something did change that night. Raul Jimenez was not the lone forward as indicated but drifted to the right. Morgan Gibbs-White wasn't on the wing, he was deployed as something akin to a false nine, dropping deeper to form a midfield three by occupying Cesc Fabregas in what would prove to be the playmaker's last ever Premier League start. It was enough to unsettle Chelsea as Wolves came from behind to complete a memorable second-half turnaround and earn their first win in seven games. Nuno had gone into the game under some pressure for the first time following back-to-back defeats against Huddersfield and Cardiff. He eased that pressure by showing some flexibility. The Wolves boss has always been adamant that the idea never changes. It was fascinating to be in his office and listen to him explain this in animated fashion just the week before that win over Chelsea. Of course, the idea is about more than a formation but nevertheless, that formation has morphed from 3-4-3 to 3-5-2 since then and it's worked to great effect. 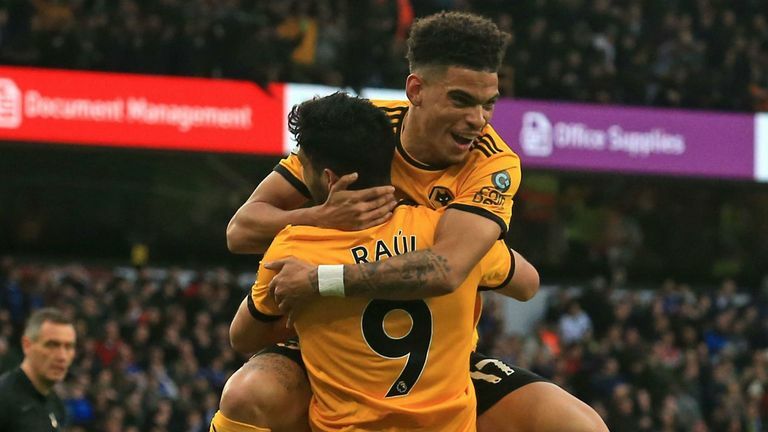 In the three months since beating Chelsea, Wolves have won 11 of their 19 games in all competitions and lost only four. Only Liverpool, Manchester City and Manchester United have lost fewer matches in that period. As a result, Wolves are seventh and also into the quarter-finals of the FA Cup, meaning they still have two routes into Europe next season. The personnel has changed a little since that night against Chelsea. Leander Dendoncker came on as a substitute in that game for his belated Premier League debut and he has now started every game in the competition since the turn of the year. His robust presence in the middle was much needed and has given Wolves something they were lacking. Ruben Neves and Joao Moutinho had enjoyed themselves in the early months of the season before finding themselves swamped in a home defeat to Watford as opponents began to work harder to stop the newly-promoted team from controlling games from the centre. Dendoncker's introduction alongside Neves has freed up Joao Moutinho to play further forwards and he has done so to great effect. Indeed, the little maestro has been a joy to watch in an advanced role, with six of his seven assists this season coming since that tweak. Others have benefited too. Diogo Jota was arguably as impressive as Neves last season and much was expected of him this time around, but he found himself struggling early on, unable to muster a goal or an assist in his first 13 Premier League games. Any suggestion that the step up in quality was the problem has been dismissed since the formation change. Jota's winner against Chelsea was a confidence boost, no doubt, but even more significant is the fact that he is now operating in more dangerous areas, effectively partnering Raul Jimenez up front. The two combined brilliantly for both goals in the 2-0 win over Cardiff on Saturday and Jota now has six goals and four assists in his last 11 Premier League games. As a result, what was ostensibly a defensive change to protect Wolves' overrun midfield has been an attacking success too. Nuno was not getting enough from his wide forwards with Helder Costa, like Jota, also failing to provide a goal or an assist during that early part of the season. But Wolves are much more threatening now. In fact, they have scored more goals and picked up more points than Chelsea since that night. Pick the six highest scoring players in this week's feature match. There is still some room for improvement, of course. Neither system has fully solved the problems that Wolves seem to suffer when trying to break down supposedly weaker opposition. They have now lost to Huddersfield using both formations - meaning that the Terriers have picked up more wins against Wolves than against every other team combined. The advantage is that, while the principles remain the same, they do have alternatives now. With Nuno often naming three wide forwards on the substitutes' bench, including club record signing Adama Traore, the option of returning to the 3-4-3 formation that served Wolves so well during the first 18 months of his reign is always there. The Wolves media team will be happy either way. They are continuing to reveal the team's formation an hour before kick-off, switching to a 3-5-2 graphic for the first time for the home game against Liverpool just before Christmas. 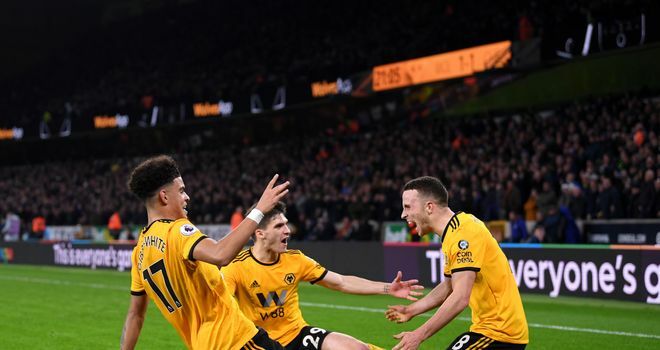 The top six are unlikely to follow suit but it's not stopped Wolves from establishing themselves as the best of the rest this season. A selection of the best saves from matchday 35 in the Premier League including Sergio Rico, Martin Dubravka and Angus Gunn. How much has changed in the last 20 years for Manchester City? A new documentary looks back at City's year in the third tier of English football.